It’s hard to believe but there are people with real superpowers in the world. These people can perform extraordinary feats that no normal human can accomplish. Some of these powers cannot be explained by science. This is a list of 10 People with real superpowers. Dean is famous for being able to run endlessly without getting tired. 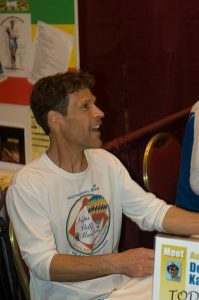 Most people can’t even come close to completing a marathon, but dean completed 50 marathons, all across America, in 50 consecutive days. He weighed 154 pounds at the start of the race and 153 pounds at the end. Dean can even run in extreme conditions, for instance he ran a marathon at the south pole, in -25 degrees Celsius. When most people repeat the same movement over and over again they build up lactic acid until it becomes to painful to continue. This never happens to Dean, which means he can just keep going, and going. Of all the people with real superpowers he’s probably the closest to the flash. Wim Hof is the only person in the world to climb mount Everest in his underwear. He didn’t just climb up a small part either, he climbed up 22,000 ft I his underwear, but eventually had to stop due to a recurring foot injury. He owns 20 world records one of which is the record for longest ice bath. Hof has the ability to control his body temperature through meditation wherever he is. This isn’t fanciful, it’s been scientifically tested, and he even teaches people to do it. People have come from all over the world to learn from him in person, and he even has a website now so you can learn online. Isao Machii is a samurai who can cut a bb bullet in half. It was shown on a tv show in Japan, on video he was shot at with a bb gun, and managed to cut the bullet in half in mid air. 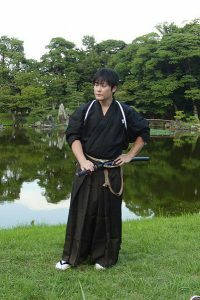 Isao is a Japanese swords man, and a master in the Iaido style of swordplay. He is one of the fastest swordsman in the world and holds multiple records to back this up including, most martial arts sword cuts to one mat, fastest 1,000 martial arts sword cuts, most sword cuts to straw mats in three minutes, and fastest tennis ball cut by sword. 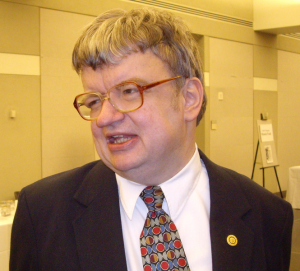 Kim peek has a perfect memory, and was the inspiration for rain man. Peek is a megasavant, who can with one of the best memories in the world, but he also has difficulty in social situations which could be the fault of congenital brain abnormalities. Peek showed exceptional ability from a young age, when he was less than two years old he would read and memorise books. Peek could read an entire book in about an hour, and remember nearly all of it. According to the Times magazine, Peek could recall the contents of at least 12,000 books. Although peek can work things out incredibly quickly, and passed high school at the age of 14, only being tutored for an hour and a half a week, he scored below average on the iq test. The average score is 100, and he scored 87. 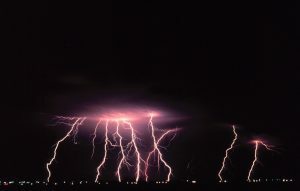 Ma Xiangang has the uncanny ability to withstand electric shocks, and appear to look as if nothing has happened. For most people when they make contact with 220 volts of electricity the results can be quite serious but for him there is no danger whatsoever. Ma he was one of few people with real superpowers when his tv broke and he started fiddling around with the wires behind it. When he touched certain wires and didn’t get shocked he assumed that it wasn’t live but when he put two together they reacted and he realised that they were live, and he wondered why he wasn’t shocked by it. He’s now turned electrocuting himself into a hobby, and does on a regular basis for fun. Manek is uses an ancient practice known as sun eating which allows him to live off of nothing but water and sun light. One of the most fascinating things about this is that it was actually confirmed by NASA, that he can live off sun light. NASA monitored him for 130 days, and in that time he consumed nothing but water and sunlight. It’s also been confirmed by doctors from India, Penn State, and Thomas Jefferson University in the US. Although many have doubted the validity of these claims and believe it to be impossible. Dynaminc Jack, is one of the most mysterious people with real superpowers. For most of his life he refused to be documented, but when a film asked him to heal one of their crew members he finally obliged. Jack was known to be a famous healer, who used a type of meditation known as Qigong to heal people. When the documentary makers filmed him healing he clearly made some sort of electricity with his bare hands, and used that to heal him. When he found out that the footage had been made public, he disappeared and his whereabouts remained completely unknown. 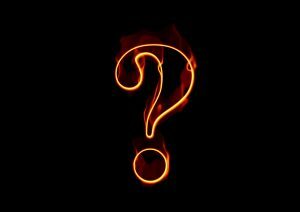 Nobody appears to know why he disappeared or precisely how he heals. Sharkman has the amazing ability to communicate and control sharks. 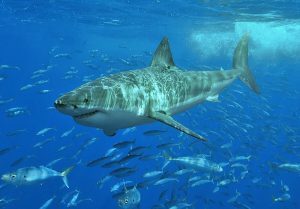 He holds the record for the amount of time free diving with great white sharks without a cage. He somehow understands the behaviour and body language of sharks, and knows how to respond accordingly. Rutzen has developed techniques for dealing with sharks, and has taught them to many people. Rutzen has starred in several documentaries on sharks, and has several members of royalty freediving with great whites, including Prince Harry of England, King Abdullah II, and the Royal family of Jeddah. Sharkman spends some his time advocating for conservation of sharks. When most babies are born they’re soft and squidgy so hospital workers were shocked when a baby was born with fully defined muscles as if he were a body builder who had been working out years, except he was a new born baby. It’s the only documented case of this ever happening. The baby had a genetic mutation that causes animals to have enourmous strength. When the baby was born he kept twitching his bodies, and doctors were completely confused, nothing like this had ever happened. After a while the twitching stopped, but the muscles remained. Eventually they discovered that the baby had unusual levels of Myostatin in fact it didn’t have any at all this, they decided, was probably the reason it was so strong. Out of all the people with real superpowers on this list, the Godhand is the most powerful. He has the ability to kill animals with only one hit, and even kills raging bulls in one hit. Oyama was also a Karate master and the founder of Kyokushin Karate. He used to put on live show where he would kill rampaging bulls with his bare hands, sometimes grabbing the horn and snapping it. Oyama spent years training in isolation on top of a mountain. 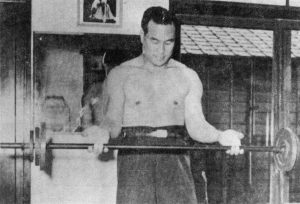 Oyama won countless tournaments throughout his life, and even started Japan’s first full contact Karate tournament. When he was training he planted a seed, and jumped over it 100 times every day, as the seed grew he managed to jump higher and higher, until he could eventually jump over walls with ease.